If you are admitted to the hospital to have a surgical procedure, because you were in an accident or have a serious illness, you may wonder any number of things, like how competent the doctor is who will be treating you, whether your nurse will be a good caretaker, or when the facility offers visiting hours for family members. These are, indisputably, reasonable questions to ask when seeking care from a hospital. Yet, you likely never ask or even think about the hospital’s HVAC/R system and how it could impact your or your loved ones’ health. Is it capable of maintaining proper temperature and humidity throughout the facility? Is it effective in preventing the transmission of airborne infections? These are actually very important questions. HVAC/R plays an important role in healthcare. Hospitals aren’t the only medical facilities that depend on HVAC/R systems in order to keep the public safe and healthy. Functioning HVAC/R systems are also vital to research laboratories and pharmaceutical manufacturing plants, where rigorous temperature and air quality control is crucial for the development of medical treatments. Technicians with HVACR training are responsible for the maintenance and repair of HVAC/R systems in medical facilities. Below is an overview of some HVAC/R considerations in different medical settings. 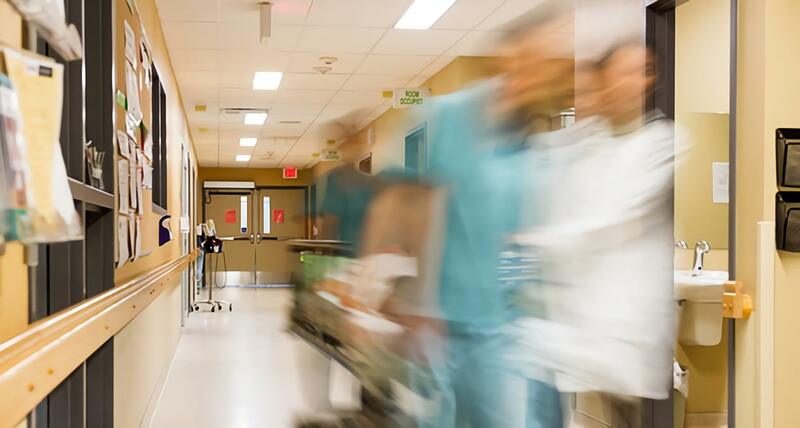 According to a number of experts interviewed by CSE Mag, HVAC systems in hospitals “can literally be a matter of life and death.” The systems must meet particular challenges, comply with a ream of regulatory standards and prevent hospital-acquired infections (HAIs). In addition to complying with regulatory standards applicable to hospitals, HVAC engineers and technicians have to figure out how to design and install HVAC systems with regard to the different areas of the hospital. An efficient and reliable HVAC/R system is vital to the functioning of a research facility, particularly those that house animals. Failure of such systems can seriously jeopardize any research project. Long-term studies that are conducted at these facilities require consistent environmental conditions. If the conditions change due to a problem with the HVAC/R or other systems, years of study can be destroyed. There is a need for those with HVAC/R training, both engineers and technicians, to install and maintain systems in hospitals and other medically related facilities, as well as in buildings in general. According to the Bureau of Labor Statistics (BLS), job growth in the HVAC/R industry is expected to increase 21 percent by 2022. This is a faster growth rate than for most occupations and means there will be a need for nearly 55,000 more technicians in the next few years. Moreover, because of the increased sophistication and complexity of HVAC/R systems, employers generally prefer their technicians to have received specialized HVACR training. HVAC technicians in the expanding health sector can look forward to not only excellent employment prospects, but also the prospect of contributing to the progress of modern medicine.